Maddie's at the age where, when you aim the camera at her, she usually grins very self-consciously. 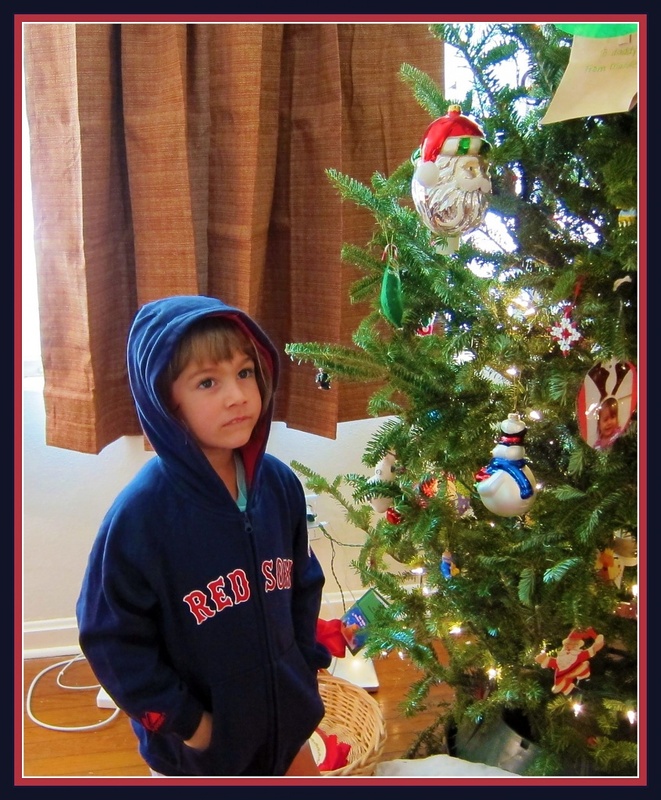 I like this moment of quiet reflection when she is trying on the authentic Red Sox sweatshirt her Aunt Meg from Boston sent her. Yes, those are the best shots. Unexpected and most natural. I agree - great capture. What a cutie. Seems to be in deep thought about something. While visions of sugarplums danced in their heads. This is what she makes me think of in this picture. Good girl!! The Sox are sure to have a great year next year. And what a great shot this is (and appropriately framed). She is positively beautiful in her thoughtfulness. Love this...I think she is wondering if getting the sweatshirt means she might have a chance to attend a game one day!